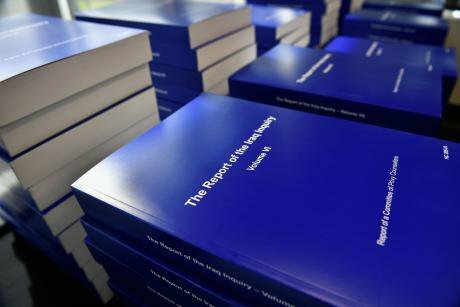 The Report of the Iraq Inquiry, led by Sir John Chilcot, published 6 July 2016, spans 12 volumes, 6,000 pages. Press Association/Jeff J Mitchell. All rights reserved. Yesterday we told the story of a young Iraqi teenager who drowned after being forced into a river by British soldiers. His death wasn’t an isolated incident. In September 2003 Baha Mousa, an Iraqi citizen, died after being severely beaten and subjected to cruel and inhumane treatment by British soldiers. In 2005 photographs taken at Camp Breadbasket in Iraq showed British soldiers abusing civilian prisoners.The Iraq Historic Allegations Team is investigating almost 1,500 more cases of alleged abuse and unlawful killing. The UK government, politicians and campaigners fume at the alleged misconduct by lawyers representing people making allegations of abuse, and what they see as the disrespect shown for the British Army and its heroic servants. They want an end to all legal processes. But others argue that there has been a failure at the heart of government to get to the bottom of a scandal and that deaths like that of Ahmed Ali and the alleged ill-treatment of hundreds more must be investigated along with any sanctioned system of abuse. 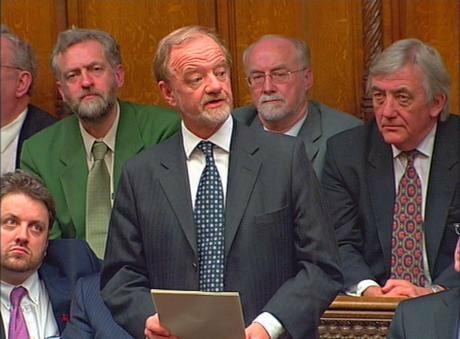 Some had hoped the Chilcot Report might provide answers. But the Iraq Inquiry chaired by Sir John Chilcot considered its mandate to be restricted and was never minded to assess allegations of the systematic abuse or unlawful killing of Iraqi civilians by UK forces. Chilcot noted in his report, finally delivered in July 2016 after years of consideration, that criminal investigations were on-going at the time of his hearings, that there had been two public inquiries into specific cases of abuse (Baha Mousa and Al Sweady), that lessons about detention and interrogation had already been learned, and that any further investigation by his inquiry might overlap and perhaps prejudice these processes. Questions of systemic abuse were therefore not his concern. The Inquiry heard from Brigadier Graham Binns that, “the best way to stop looting was just to get to a point where there was nothing left to loot”. The case of Ahmed Ali suggests other more abusive tactics were used too. Chilcot acknowledged none of this. Some of the most disturbing testimony did not make its way into the final report. Kevin Hurley, once Detective Chief Superintendent of the Metropolitan Police, and a senior member of the Territorial Army, served two terms in Iraq between 2003 and 2004. He gave a statement to the Inquiry about his experiences in Camp Bucca, a detention centre outside Basra. Detainees pray at former U.S. military detention facility Camp Bucca, Iraq. 16 March 2009 AP/ Press Association/Dusan Vranic. All rights reserved. None of this inspired Chilcot to look further. Does the Chilcot Inquiry’s inability or unwillingness to consider the Iraq allegations mirror a longstanding wilful political blindness? The multiple claims of abuse in detention and unlawful killing haven’t attracted the recent attention of Members of Parliament from any party. No politician has campaigned for the truth to be publicly scrutinised. For the past 13 years the story has developed only because legal challenges and judgments (like those resulting from actions brought by Public Interest Lawyers and those heard by Sir George Newman), have forced accounts of illegal military action into the headlines. Even then the response has been restricted to one of ‘outrage’ at a specific crime, such as the killing of Baha Mousa or the drowning of Ahmed Ali. Successive governments have failed to grapple with the nature and scale of allegations, resisting calls for an overarching public inquiry into the possibility that systems of abuse had been allowed to develop or perhaps even ordered. Nor has the Labour Party, as official opposition since it lost power in 2010, challenged the government line. No mainstream political party and no prominent politician is fighting publicly to reveal whether the accumulated evidence indicates failures of policy or represents an unconnected sequence of criminal actions by a tiny minority of rogue soldiers. Only when MPs (mostly Conservatives) have sought to condemn the lawyers and call for on-going criminal inquiries against British troops to be wound up, has any particular political interest been evident. Tomorrow: In the beginning. What happened when the British invasion turned into occupation.